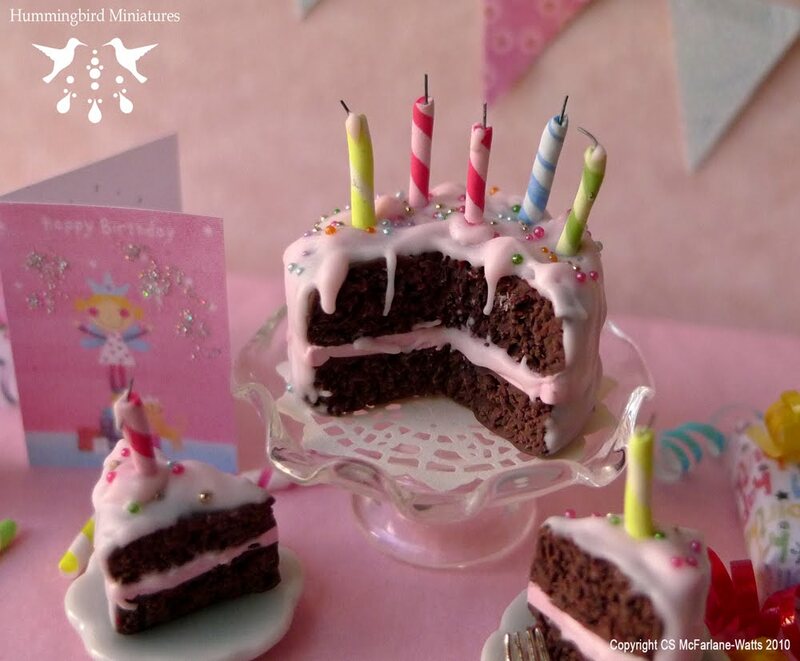 Hummingbird Miniatures: Dollhouse Miniature Pink Birthday Cake in 1:12 scale! 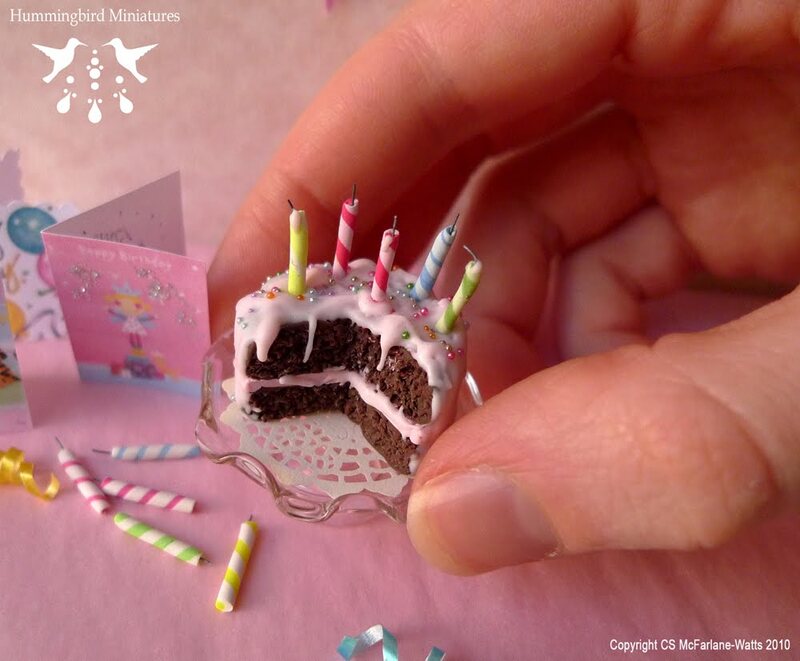 Dollhouse Miniature Pink Birthday Cake in 1:12 scale! These are new photos of my classic popular 1:12 scale Pink Birthday Cake which is moist-looking chocolate cake with pink frosting, rainbow sprinkles and birthday candles. PS Don't forget 'Harry Potter 7' is out in theatres today!! If you're a big Harry Potter fan and interested in acquiring magical and original Harry Potter dollhouse miniatures, then visit my magical miniatures store (Pixie Dust Miniatures) here. I just love this little cake. The candles and mini birthday cards are precious. Lovely work. May I ask what brand and size of cookie cutter do you use when making your cake? I have been having a difficult time finding the size cutter that you apparently use.